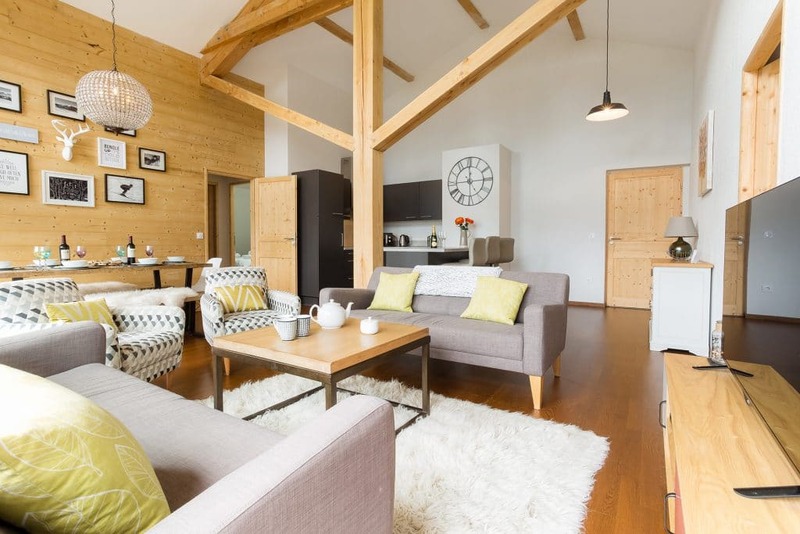 Apartment Perrieres is a luxury new build apartment, located a short walk from the Perrieres ski lift is Les Gets.With 4 bedrooms it is a perfect size for large families or groups and is available to rent for weekly holiday lets through summer and winter. Highly sought after location with stunning mountain views moments from the nearest ski lift and walking distance from the town. 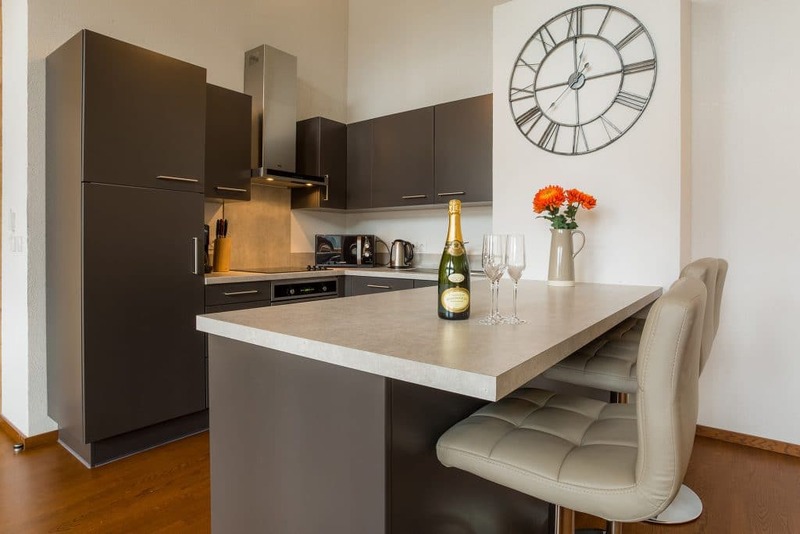 Furnished and dressed to a high modern standard, there is plenty of comfortable living space, spacious bedrooms, large bathrooms, private parking, and sunshine balcony. Open plan lounge/kitchen diner with access to the terrace and stunning mountain views. 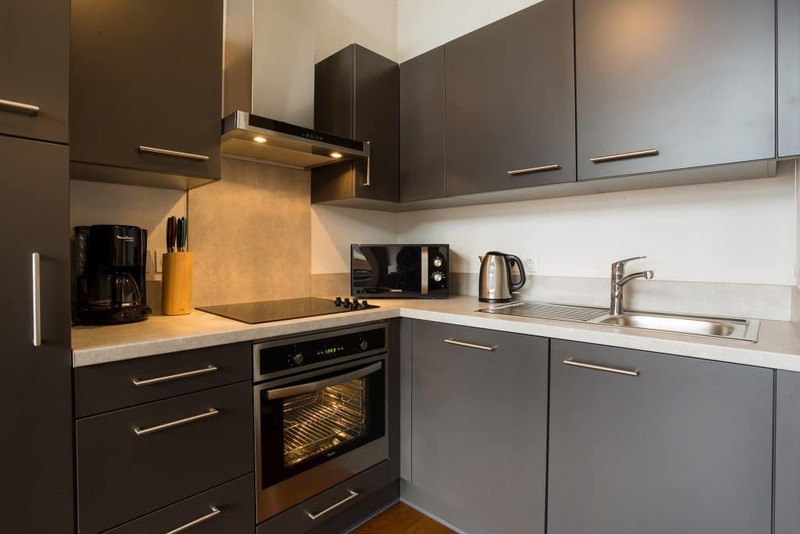 Fully equipped modern kitchen with oven, hob, microwave, dishwasher, washing machine, coffee machine and all utensils required to make catering for your group a breeze. Comfortable stylish lounge area to relax in with sofa’s, armchairs and bean bags arranged around a flat screen tv. Large dining table with plenty of seating for everyone to sit and enjoy a shared meal together at the end of a long day up the mountain. 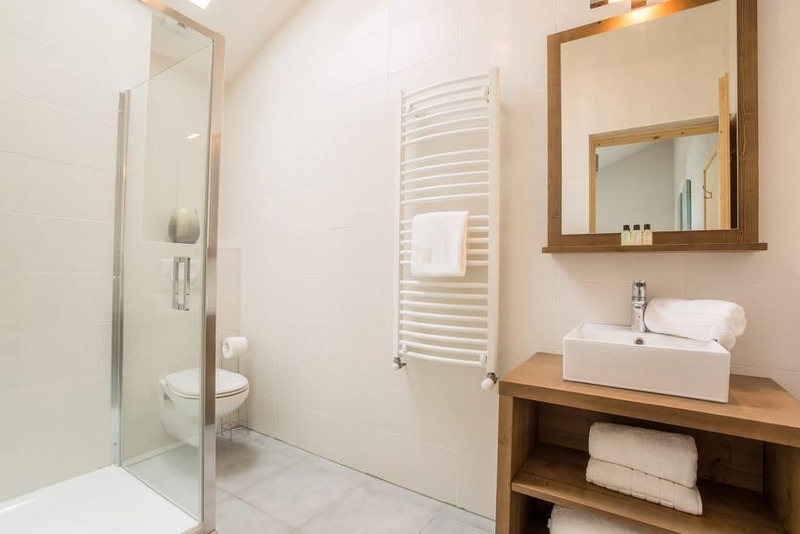 There are 4 Bedrooms, 2 of which are ensuite, plus a third shared bathroom. 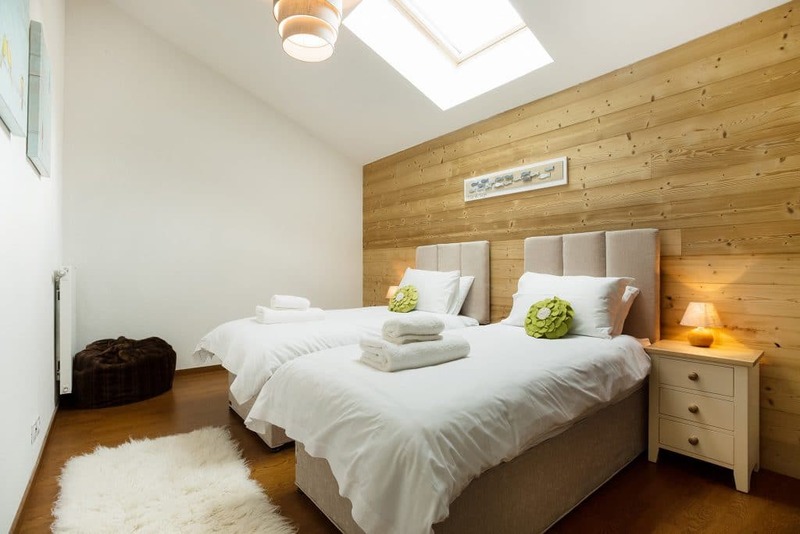 Bedroom 1 is a large bedroom with twin beds, built in wardrobes and an ensuite bathroom with shower cubicle, wc and sink unit. 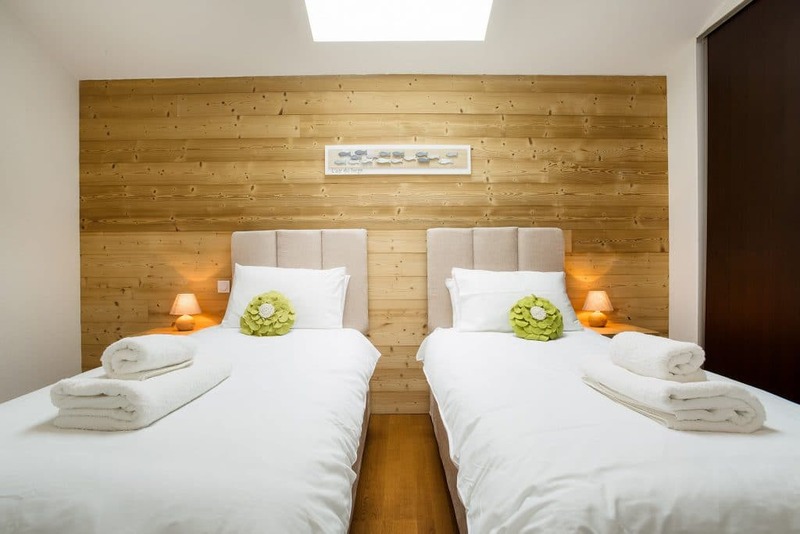 Bedroom 2 is a double ensuite with access to the terrace and lovely mountain views. 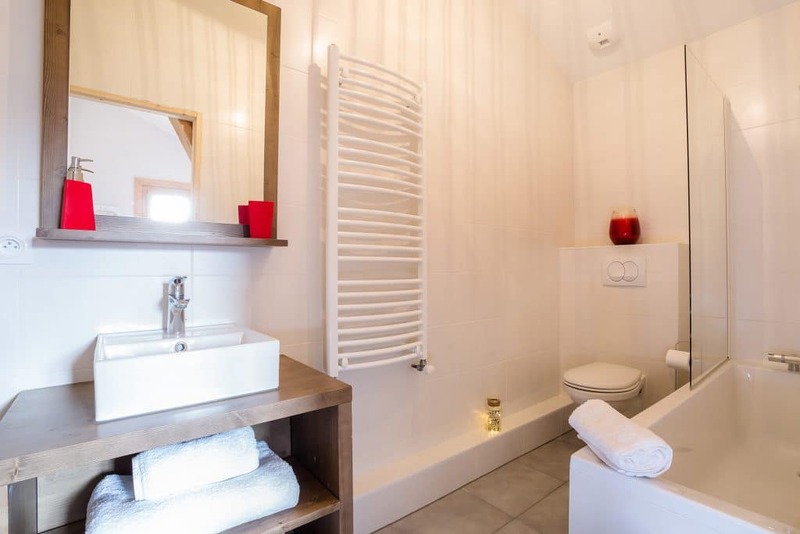 The bathroom has a bath, shower over the bath, wc and sink unit. 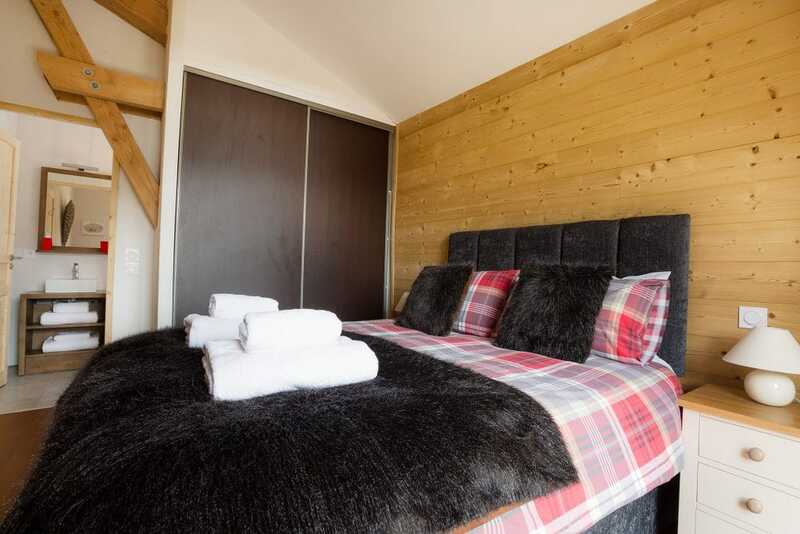 The large private sunny terrace/balcony with the most stunning mountain views, has outdoor furniture plus there is a gas BBQ available for summer bookings. Parking: There are two private parking spaces for 2 cars in the secure covered garage at the bottom of the building. 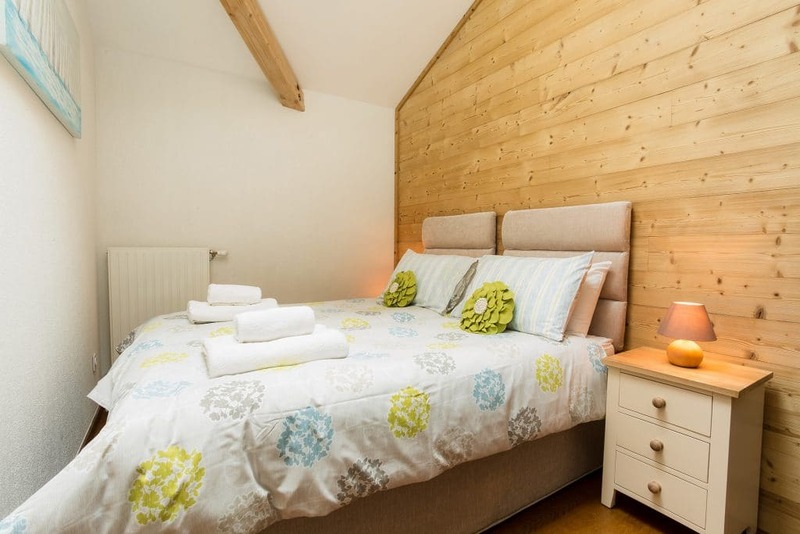 Located on the main road as you come into Les Gets just opposite the Perierres ski lift and car park and it is walking distance from the town centre. Private covered parking is available for 2 cars. 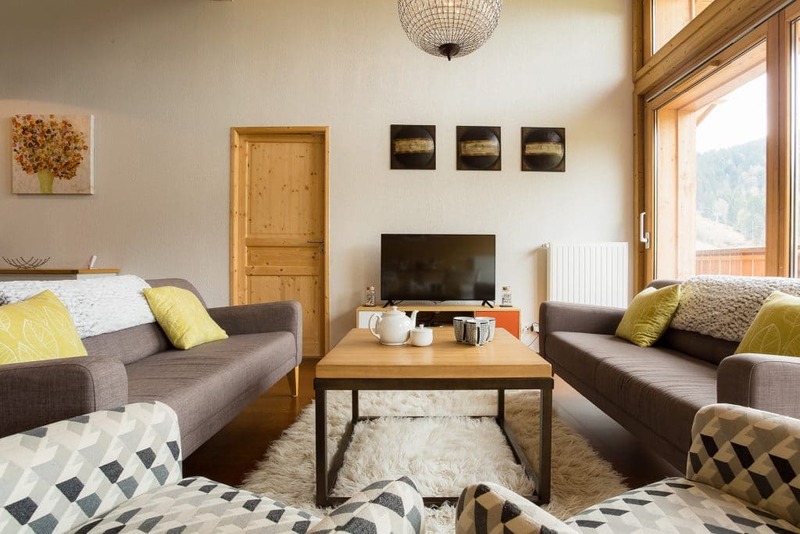 “Beautiful apartment with an amazing view” A beautiful apartment with an amazing view well located in Les Gets. 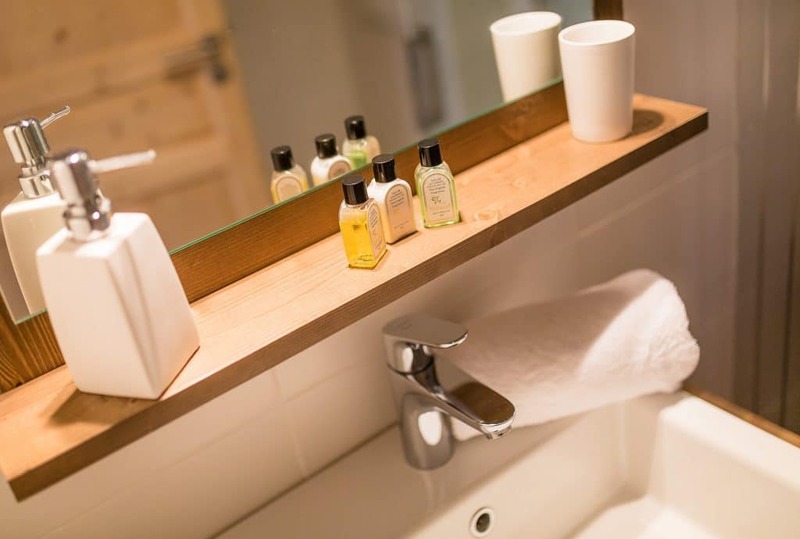 A few minutes walk from a chairlift, or 5 minutes on the bus to the centre of Les Gets. Underground parking and ski lockers available. We would definitely return to both the apartment and Les Gets. We were two families with children between 5 and 9 looking for a self catering chalet in a family friendly resort. 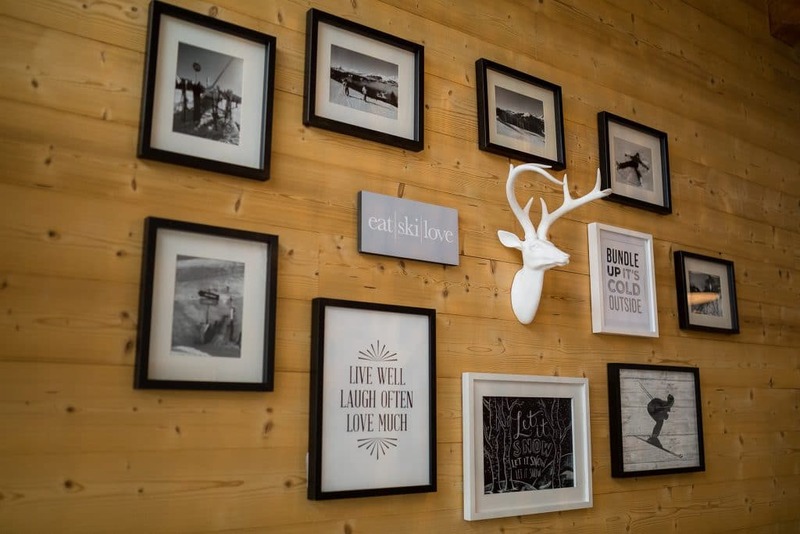 We have been Les Gets a few times and wanted to find accommodation an easy walk from town!. Perrieres is exactly as it looks on the website, very spacious, well equipped and very clean. We had a fab holiday and having young kids spent many evenings eating in and enjoying the apartment. We also used Ski Lifts which were also fab for our transfers from Geneva Airport. We hired our skis from Intersport and they stored our equipment over night so we did not have walk home in ski boots and carrying skis which made the walk more enjoyable, it is a 15 min walk into town with kids maybe a bit quicker without them! Would highly recommend this apartment for families or even 4 couples as there is ample room and three bathrooms. 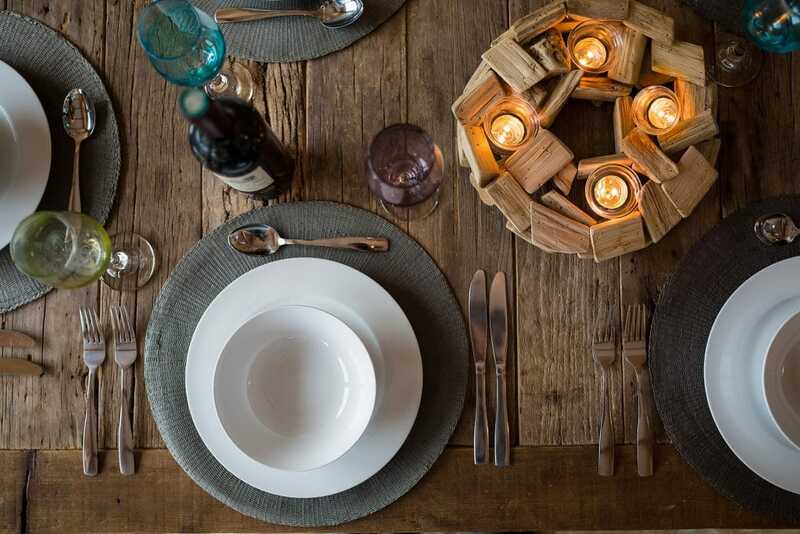 Mountain Xtra were very helpful when making our arrangements for a fun filled holiday. 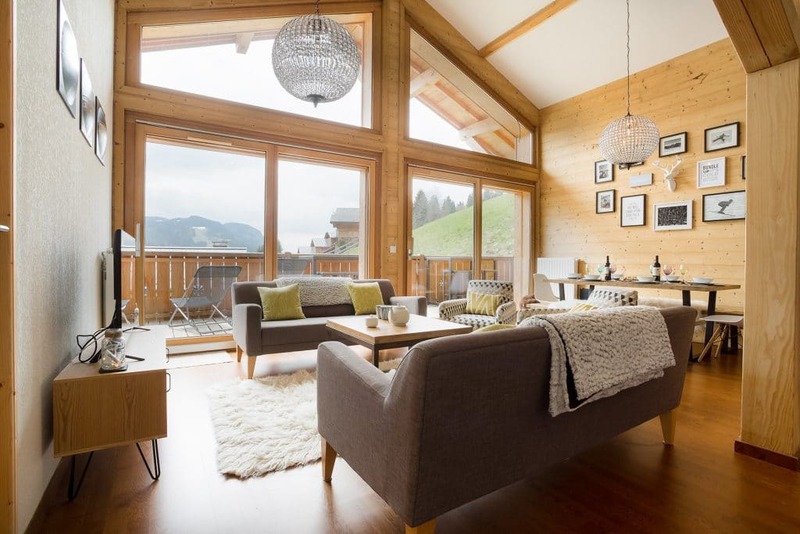 Fabulous apartment close to the slopes. We celebrated New Year here and had a wonderful time. 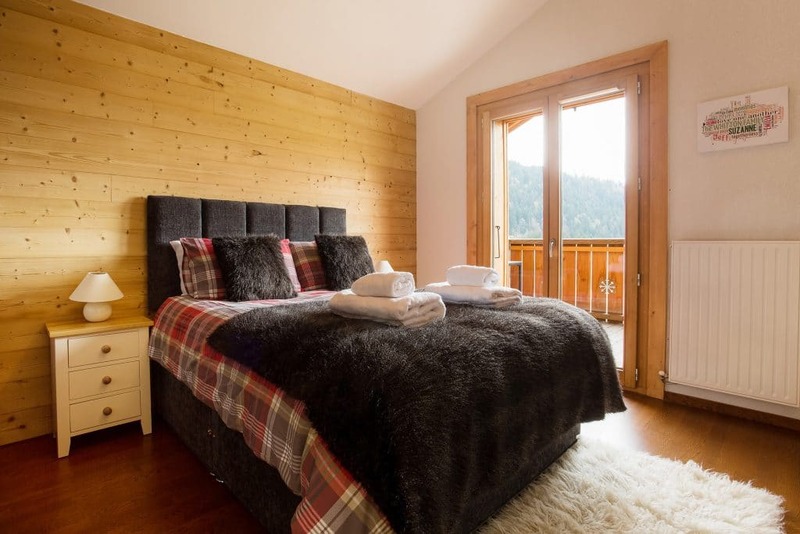 The apartment is excellently located close to slopes, ski hire and just a short walk to the town centre. 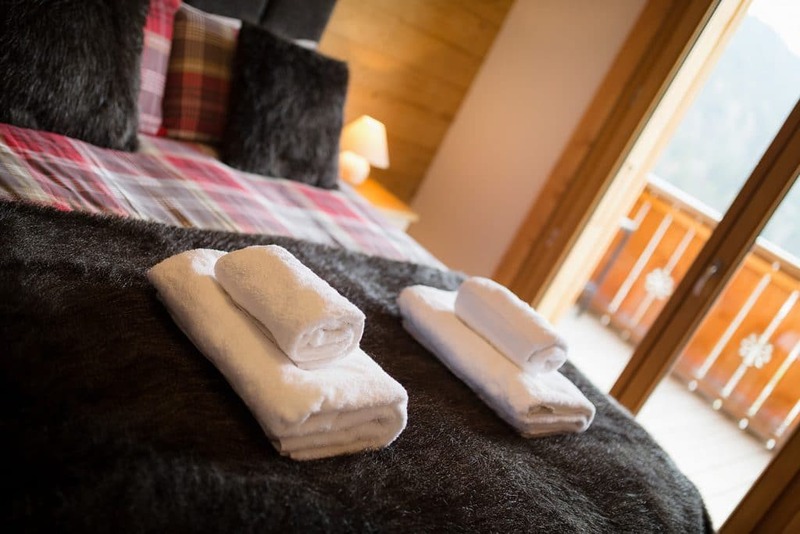 We were grateful for the comfortable beds and luxurious towels and bedding after a hard day on the slopes. 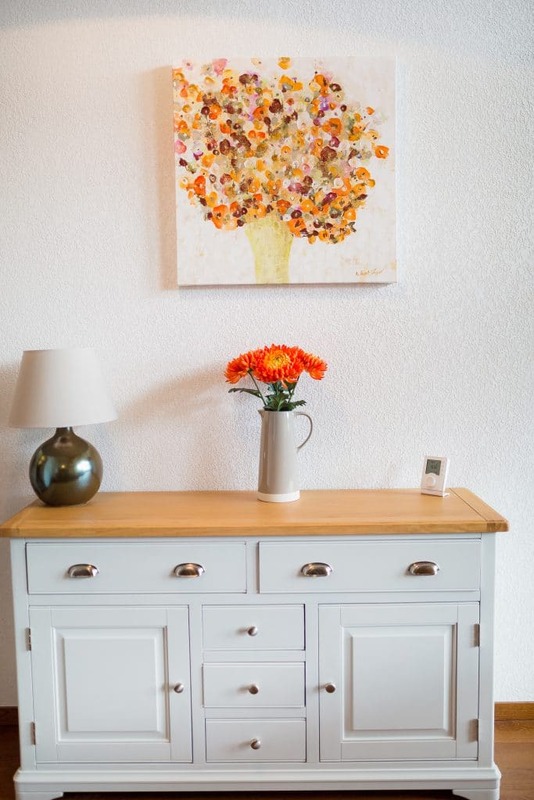 The apartment is beautifully furnished and had a well equipped kitchen for us to be and feel very comfortable. 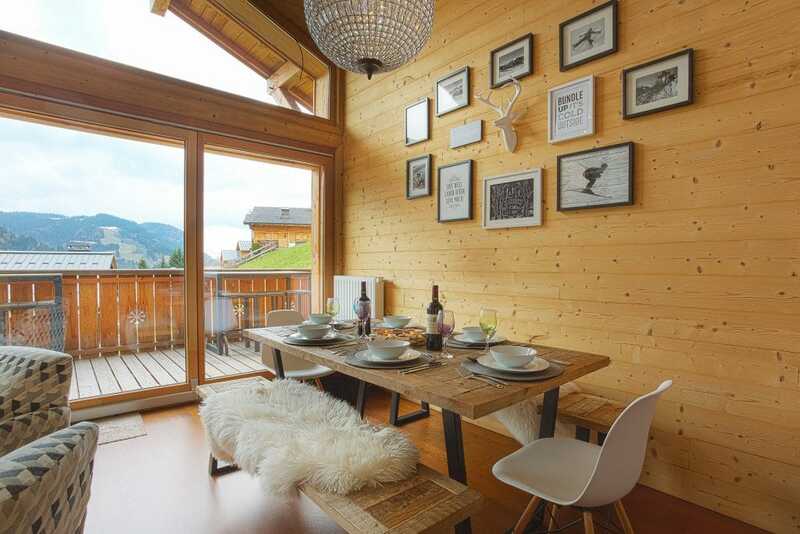 A beautiful apartment with an amazing view well located in Les Gets. 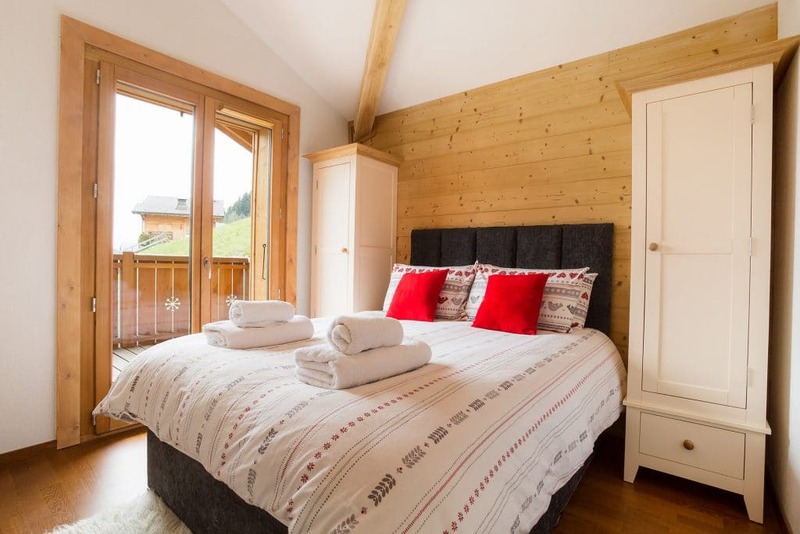 A few minutes walk from a chairlift, or 5 minutes on the bus to the centre of Les Gets. Underground parking and ski lockers available. We would definitely return to both the apartment and Les Gets.